So, I know what you're thinking, why does Chrysalis have a blonde stripe in her mane and tail? 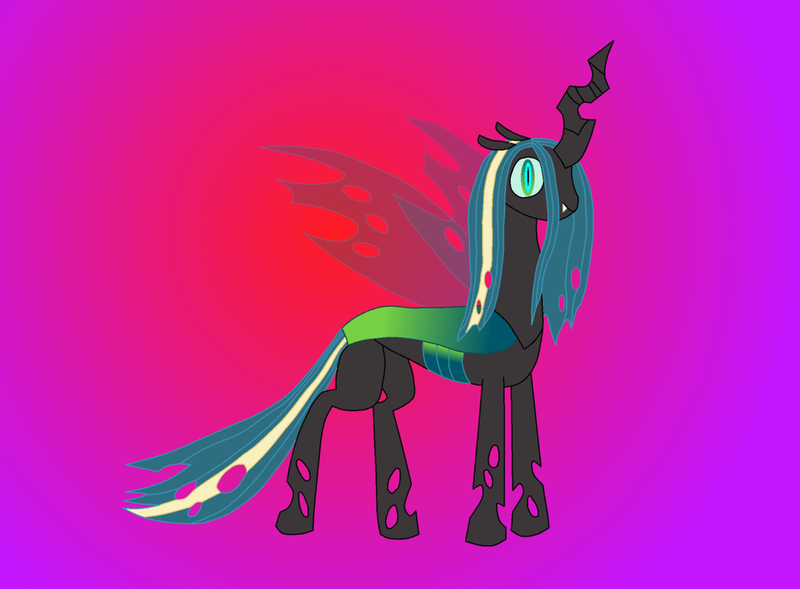 Well, this isn't Chrysalis, though it's meant to look almost exactly like her. This was a request from my friend Rouge Shadow of her OC, who is Chrysalis' daughter, thus the very similar likeness.